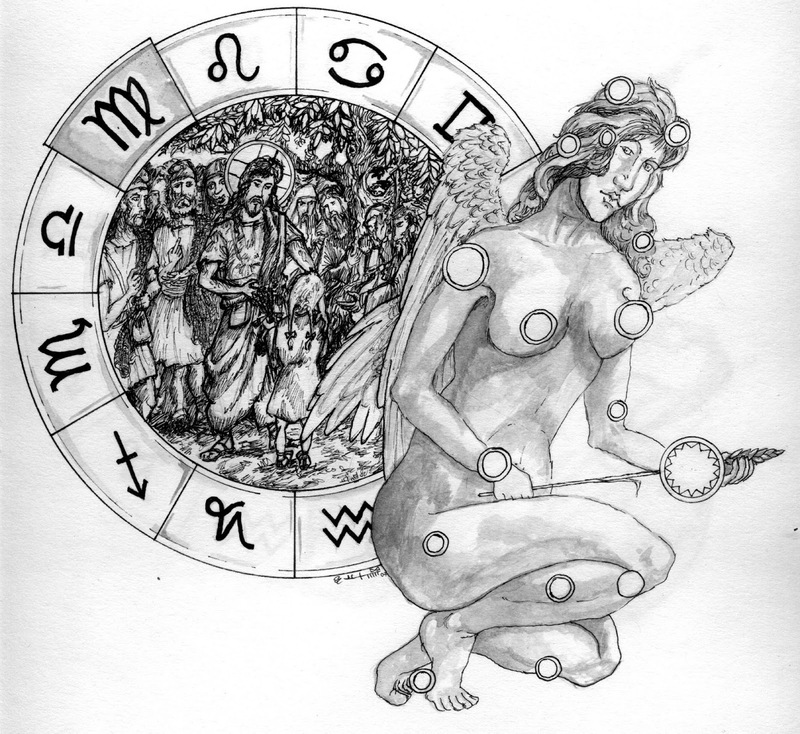 Virgo is Mutable Earth, and is the sign of the harvest. Its symbol is the Maiden with the Wheatsheaf. 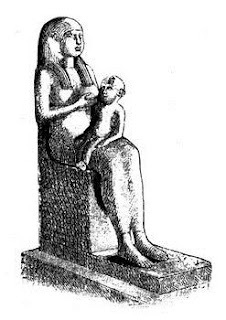 In Egypt the sign was associated with the goddess Isis, who is often depicted carrying the infant Horus, and the sign has strong connections with childhood. Its keywords are service, humility, simplicity, purity, characteristics of the Virgin Mary, whose birthday is celebrated on 8th September, when the sun is in the centre of Virgo. 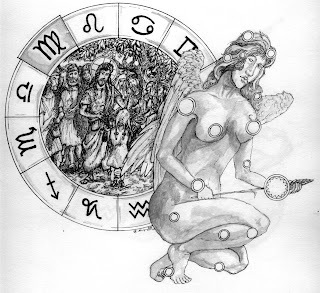 The decans of Virgo are Coma (the Infant), Centaurus (the Centaur), and Bootes, (the Shepherd). new book has just been published about Mother Teresa. It’s called Mother Teresa: Come Be My Light, and it consists of extracts from letters she wrote over 66 years to her various spiritual directors. The book is set to cause a stir because, apparently, it portrays a tortured soul, expressing doubts about God’s existence and the efficacy of prayer; indeed, it describes an interior life which seems very much at odds with her public persona. It has been published now, no doubt, to coincide with the 10th anniversary of her death on 5th September 1997. She died, you remember, just a few days after Diana Princess of Wales, and so her expected death in old age was somewhat overshadowed by the tragic, accidental death of her younger, more glamorous contemporary, but it seems an odd coincidence that two of the most famous women in the world – if not the most famous women in the world - should die within days of each other. I always feel that it is unfortunate to share your death with a public icon. Aldous Huxley, the British novelist and spiritual writer died on the same day as President Kennedy in 1963, and news of the death of this extraordinarily talented and influential man had to be reported on the inside pages of the newspapers. 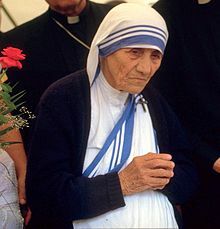 But there was something fitting about Mother Teresa dying when she did, because whatever the details of her own private spirituality, and despite the criticisms of people like Christopher Hitchens who see her as a manipulative, cynical, sentimental figure, she was known world wide for her quiet humility, and dying while the world mourned Diana enabled her to slip unobtrusively into the great beyond without the fanfare which would have inevitably attended her death at any other time. It is not the sign of leadership but of service; it does not aim at brilliant results but at useful ones. It is patient and does not turn from routine drudgery; it hates show and shuns responsibility and publicity. It is not ambitious but is satisfied with a straight job and a fair wage. If we translate the elements of this somewhat unflattering psychological portrait into spiritual categories we can see that the Virgo phase of experience is characterized by service, discipleship, actually living out the precepts laid down by the spiritual master. In the modern era no one has exemplified these better than Mother Teresa, whose practical, ‘hands-on’ approach to religion has had such a marked influence on the contemporary world. Although her shrewd self-promotion, her high profile, and her considerable leadership qualities seem to indicate the importance of other factors, her image and her public utterances seem almost invariably to reflect her birth sign. Leo Tolstoy (9th September, 1828), who, in his later years was drawn towards an analysis of the religious nature of the human being, extolled the simple, rational, practical aspects of religion, free from supernaturalism, and concentrating almost exclusively on behaviour: ‘Let all the world practice the [teaching] of Jesus and the reign of God will come upon earth,’ he wrote. Virgo, the second of the Earth signs, is the sign of the harvest, and in ancient Egypt it was represented by the maiden with the wheat sheaf in her hand, or by the goddess Isis carrying the infant Horus – an image which is highly relevant to the passage of Mark which we are considering, as we shall see. This is harvest time, when work has to be done. We’ve been basking in the leonine sunshine for long enough; now it’s time to take out the farming implements and get down to some productive activity. Mark’s Gospel doesn’t mention the harvest, but the parallel passage in Luke does; at this precise point in the narrative, Luke has Jesus say, ‘The harvest is plentiful, but the workers are few. Ask the Lord of the harvest to send out workers into his harvest field’ (Luke 10:2, NIV), which is another reason why I am convinced that the Gospel of Mark as we have it is a truncated version of a much longer document which displayed the zodiacal signatures even more clearly than the Gospel as we now have it. Our activities at this time of the year unconsciously reflect the Virgoan preoccupations. It’s time to get down to the nitty gritty. Since the sun entered Virgo around 21st August, we’ve all been getting prepared for the new year at work and particularly at school. The Jews actually celebrate the New Year at this time – Rosh ha shana is this year on September 12th. School uniforms are dragged from the wardrobe; books are bought and backed; pencils are sharpened, shoes polished. There’s a general air of ‘eager reluctance’ pervading the atmosphere. Your attitude should be the same as that of Christ Jesus, who, being in very nature God, did not consider equality with God something to be grasped, but made himself nothing, taking the very nature of a servant, being made in human likeness. And being found in appearance as a man, he humbled himself and became obedient to death – even death on a cross. 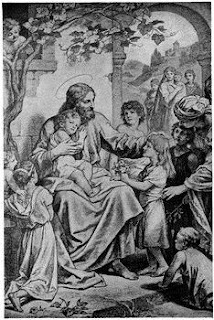 This is the principle of kenosis, self‑emptying: our divine nature is only realized to the extent that we serve the divine in other people. In the Gospel of Mark, no sooner are we apprised of Jesus' glory (Leo) than we are given clear instructions about the necessity of humility (Virgo). Or, as the Hindus put it, ‘Namaste’ – the god in me salutes the god in you! Divine am I, inside and out, and I make holy whatever I touch or am touch’d from. And how did he express the conviction of his own divinity? He went to tend the wounded and dying in the American Civil War. Walt Whitman knew what following Christ meant, although he wouldn’t have called himself a Christian. But we Christians don’t seem to have much idea. We still want our league tables, even in the spiritual life, and we confer titles on ourselves just to remind everybody how important we are. Clergy titles are wonderfully ironic in the light of Jesus’ teaching. There’s ‘monsignor’, ‘bishop’, ‘archbishop’, ‘cardinal’, ‘pope’ – ‘princes of the church’; they are ‘Reverend’, ‘Most Reverend’, ‘Very Reverend’; they are to be addressed as ‘My Lord’, ‘Your Grace’, ‘Your Holiness’, ‘Holy Father’, all according to strict protocol, and woe betide anyone who gets it wrong! People still curtsey in front of bishops, and kiss their rings! And even Unitarians are not free from this. Why do we covet the title ‘Reverend’? Why do we clamour to put titles in front of our names, and qualifications behind them? The time is surely here when we should consign all this preposterous stuff to the dustbin. We are a lay movement – that is, a movement without priests, without hierarchy; a movement in which anything a minister can do can be done by a suitably qualified and appointed member of the congregation. ‘Whoever wants to be first, will be last of all, and the servant of all,’ says Jesus. The most ironic title of the pope is ‘servus servorum dei’, ‘servant of the servants of God’ a title which no doubt strikes him as odd as he is carried into St. Peter’s in a sedan chair, and as he reflects that he has probably never so much as boiled an egg in his life. Nor should we be concerned with who is making the greatest contribution to our spiritual movement, or to any spiritual movement: even the person who gives a cup of cold water is making a significant contribution, and won’t go unrewarded. There are some people who, in Emerson’s words, are ‘too great for fame’. I know them, and so do you. In fact, Morag and I were visited last week by Janet and John Walker, our neighbours in Pontefract, who have looked after a severely disabled daughter for 21 years, all the time with a light heart and a cheery, uncomplaining face. They will never be featured in any newspaper biopics; there’ll be no mention in the Queen’s Honours List, and yet they, and countless millions like them, are people of whom the world is not worthy, the ‘salt of the earth’, people who live lives of such quiet heroism that our paltry efforts are shamed by comparison. Gerard Manley Hopkins wrote a poem in 1888, here in Dublin, extolling just such virtues in St. Alphonsus Rodriguez, a Jesuit lay-brother, who did little more than act as a doorkeeper for forty years, and yet he performed his duties with such diligence that God granted him extraordinary spiritual insights. In our own community, everyone makes a contribution, and every contribution is of inestimable value. A few months ago, Michael, who does our rotas, told me that about 90 separate individuals feature on one or more of our several rotas; some look after the children in the Sunday club, some bring flowers, some read at the service, some welcome people on Sunday mornings, some provide coffee and tea. These are extraordinarily important activities without which the church would be immeasurably impoverished. Even just showing up, being present, smiling at visitors, contributes to the friendly community that has been built up over the years. When I first came here there was an elderly man in the congregation called John McCabe. He was a very quiet man. He wasn’t well off, in fact he was probably quite poor, and he wasn’t particularly well educated, but he had thought his way into this congregation, and attended every week without fail before his death in 1997. He didn’t have the confidence to read or to do any of the other duties, and he couldn’t make any real financial contribution, but he asked the committee if he could paint the vestry as his contribution to church life. It hasn’t been painted since he did it, and I for one am rather reluctant to have it repainted, because the fading colour down there at present reminds me of this simple and generous man who offered his own ‘cup of cold water’ in a spirit of humble service. ‘The first will be last, and the last will be first.’ Such is the great lesson of Virgo, the great lesson we in this celebrity obsessed culture need to learn.